In this month’s edition of Performance Counts, Ilene Dackman-Alon, director of education and the visitor experience explains how two novel ideas have become JMM traditions. To read past editions of Performance Counts, click here. To read more posts by Ilene click HERE. Tonight the Museum is celebrating. We are welcoming eager students and their families into the gallery for an evening of art and family history, representing the fifth annual presentation of My Family Story at JMM. In thinking about the hard work of our participating students, the support from teachers and administrators, and the pride and joy on the faces of attending families, it seems to me that now is the perfect time to share some insight into how we find great new ideas and make them our own. My Family Story’s story began at the Jewish Museum of Maryland in 2015. I first learned about this international program directly from its parent organization Beit Hatfutsot – The Museum of the Jewish People in Tel Aviv, Israel. The goal of the project is for area Jewish students in communities across the globe to discover and find meaning in their own family heritage and family stories by doing research and conducting interviews with family members. The exploration culminates in an artistic installation created by the students to represent their family’s personal history. The hope of the program is to inspire students to think about their family’s history as a way to connect to the larger issues of American Jewish history, community, Jewish identity, and Israel. It was clear to me that My Family Story was in perfect alignment with JMM educational goals and vision and we knew we had to become a part of this amazing learning opportunity. In order to pilot any new project, all kinds of support are needed. First, we needed a group of students to work with – middle school teacher Lizabeth Shrier at Beth Tfiloh Dahan Community School was willing to lead our first experimental year. Her excitement was kindled when she considered how the program could be integrated into her 8th-grade curricula, specifically weaving together units on ancient studies and art. Lizabeth brought her colleague Shelly Spector, an art teacher, on board, and they began having students work on their projects at the beginning of the school year. Lizabeth and Shelly were great ambassadors for our pilot – they were ready to work with the Museum as partners, understood the value that museums have in bringing history and culture to life, and believed in the importance of what museums can bring to the classroom. Second, as with all great endeavors, we needed financial support. Here we have to share our gratitude for the Jacob & Hilda Blaustein Fund for the Enrichment of Jewish Education, who saw what we saw: how important and meaningful the My Family Story project would be for participating students. The Jacob & Hilda Blaustein Fund gave us the resources to pilot the first year of the My Family Story project at JMM, planting the seeds for the wildly successful annual program we know today. One of the things we love about My Family Story is that it’s not just a local program. Students around the world participate in the collection of stories and creation of art installations, though each location designs their version of the program to best fit their resources and participants, as we did with our pilot. While generous funding and community support allowed JMM to not only host a special evening program for participating students and their families to see the finished creations, we also connected with the international level of the program with Beit Hatfutsot. Judges rate each of the projects created and choose two projects from each school that best exemplify the goals of My Family Story. Those selected projects are sent to Israel and compete with projects from all over the world. The top 40 projects are exhibited at Beit Hatfusot and their student creators are invited to Israel to participate in a special ceremony and see their work. We are especially proud that multiple participants from our My Family Story program have been selected for this top honor – including in our pilot year! 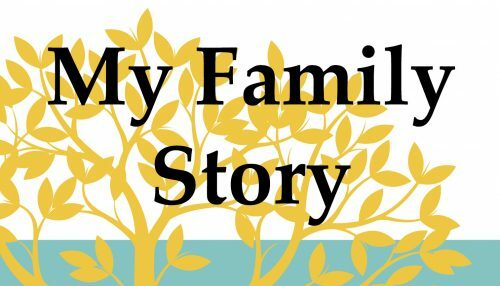 Over the past five years, the JMM has partnered with 6 different schools who have implemented the My Family Story project as part of their curriculum. Today, we are especially grateful to the Robert and Alli Russell Charitable Foundation for the generous funding of the My Family Story program over the past two years! 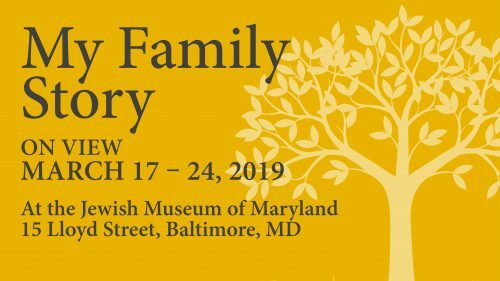 With this additional funding, winners of the My Family Story program will get to meet and spend time with Israeli families living in Ashkelon, Baltimore’s sister city in Israel, after the celebration at Beit Hatfutsot. This year we are thrilled to present work from the students at Beth Tfiloh Dahan Community School, Ohr Chadash Academy and Beth Israel Religious School. 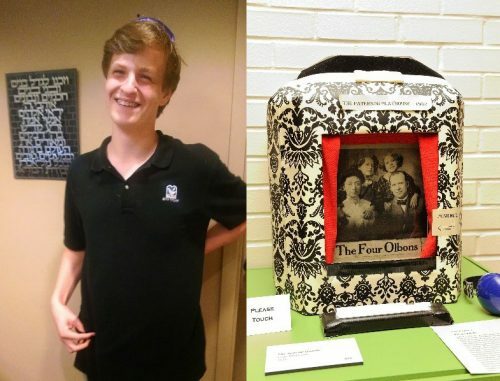 In addition to the special celebration for students and their families being held this evening, the Museum is hosting the My Family Story exhibit in our gallery for the public to enjoy from Sunday, March 17th through Sunday, March 24th. We hope you will come and see the amazing work created by these students – we know you will be moved and impressed. Another example of an experimental pilot whose idea was birthed right here in Baltimore at the Museum: Personal Stories: PROJECTED. 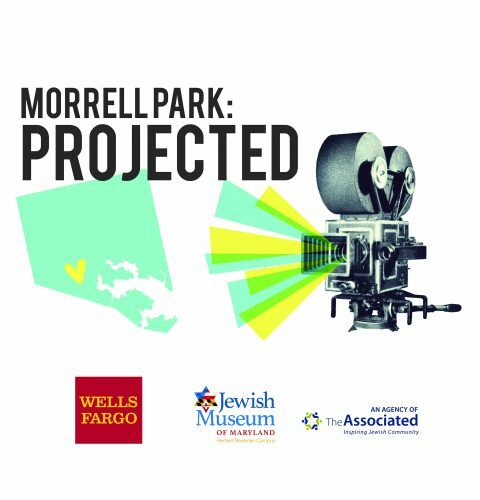 Last year, inspired by our own commitment to storytelling and helping individuals connect with their own histories, identity, and the communities around them, we piloted a program called Morrell Park: PROJECTED. Morrell Park Elementary/Middle School is a longtime participant in our museum-school partnership program, which has let us develop strong connections to the school, its teachers, and its administrators. The goals of the museum-school partnership program, which is targeted at Baltimore City Public Schools, include helping students become active learners for the 21st century, helping students build their skills in information literacy, communications and technology literacy, critical thinking, problem solving, creativity, civic duty, and global awareness. From this was born Morrell Park: PROJECTED. Morrell Park: PROJECTED was a year-long storytelling initiative that has helped students gain insight into their personal family stories. Working closely with 8th grade teacher Danielle Bagonis and young adult author J. Scott Fuqua, students learned storytelling and interviewing techniques so they could develop the skills to interview family and community members. Film students from Johns Hopkins University assisted the students in creating their own short films using their smartphones. 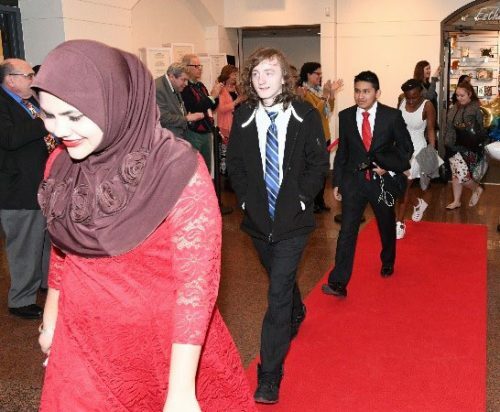 The resulting films were screened at a “Red Carpet Premiere” as a way to celebrate the diversity, culture, and roots of the Morrell Park community. This pilot program was made possible by an Excellence Grant from Wells Fargo. This was a transformative experience for many students who participated in the program. In the beginning, many students expressed a hesitancy to speak to their parents and family members. A few months later, those same students shared that this project has enabled them to talk to family members in ways that they never had before. All of the participating students expressed an appreciation to the family members that shared personal stories of their past. They were also proud of the short films they created; and that they learned new technology in connection with their smartphones. 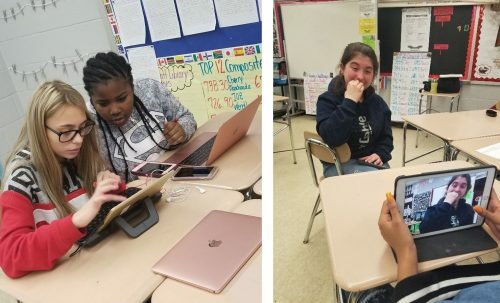 This year our kernel of an idea has blossomed, expanding into the Personal Stories: PROJECTED initiative and bringing the transformative power of this project to two schools – a new group of 8th grade students at Morrell Park and a class of 7th grade students at Graceland Park-O’Donnell Elementary/Middle School. We are incredibly grateful to both Danielle Bagonis at Morrell Park, and Amy Rosenkranz at Graceland Park for their support, and their willingness to dive headfirst into this still-new initiative. This year, in addition to once again working with J. Scott Fuqua, we have welcomed film students from the University of Maryland, Baltimore County’s graduate program into the project. Each school will be having their own “Premiere” evening later in May. 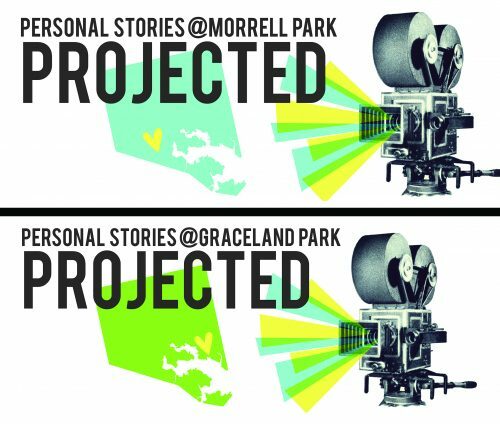 Personal Stories @ Morrell Park: PROJECTED will take place on Thursday evening, May 9th at 6:30 p.m. and Personal Stories @ Graceland Park: PROJECTED will take place on Thursday evening, May 16th at 6:30 p.m. Both of these premieres are open to the public and we know the students would love to share their films – and stories – with you. Additionally, both schools will come together at a special event in early June at Graceland Park to see each other’s’ films and celebrate the storytelling and diversity of Baltimore City Public Schools. Pilot programs in Museum education are a way to take a big idea and start small, experimenting with a single school, classroom, or teacher. The success of our pilot programs has depended on the support of motivated teachers who are engaged with the project and who trust us at the Museum to support them in their efforts. Pilot programs over the years have taught us the importance of advance planning, making sure all our teachers and Museum staff are on the same page, and understand the project’s goals and vision. We’ve also learned that success can take many forms, and to truly get all the benefits of piloting programs, we need to be adaptable and open-minded. It’s especially exciting when a pilot program grows into a full-blown educational initiative and becomes a regular part of our annual programs calendar, like both My Family Story and Personal Stories: PROJECTED.